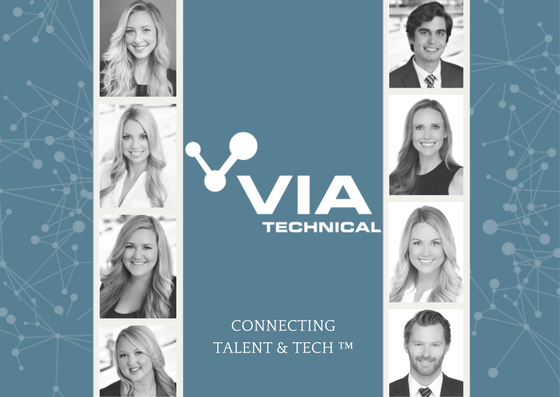 San Diego, CA – April 13, 2018 – VIA Technical, a leading technical staffing and recruiting agency, announced today that they have won Inavero’s Best of Staffing® Client and Talent Awards for providing superior service to their clients and job seekers. Presented in partnership with CareerBuilder, Inavero’s Best of Staffing winners have proven to be industry leaders in service quality based entirely on ratings by their clients and the employees they’ve helped find jobs. On average, clients of winning agencies are 2.3 times more likely to be completely satisfied, and job seekers who work with winning agencies are 1.7 times more likely to be completely satisfied with the services provided compared to those working with non-winning agencies. Less than 2% of all staffing agencies in the U.S. and Canada have earned the Best of Staffing Award for service excellence. In 2015 there were 1,650 total start up jobs created with 104 VC deals closed at approximately $1.2 billion. More than $31 billion in technology and life science M&A deals were closed in 2015 where the target or buyer was a San Diego company – up 16% from 2014. $185 million was the average deal size. Follow Startups on Social Media. These groups have active pages and many regular discussions. You can find local events, learn about companies hiring, or even meet some other members for coffee. Local co-working spaces hold regular events as well. Deskhub’s events can be a good opportunity to connect with other tenants and their guests. Go to meetup.com and search “startup” in San Diego metro and you’ll find dozens you can join. With all the options, you can surely find your niche or spot in this booming San Diego Tech Market!